Prime Minister David Cameron has received a letter from campaigners urging more action on fuel poverty. More than a hundred representatives from energy firms, charities and other groups wrote to the PM demanding action on a matter they described as a 'national disgrace'. With the country barraged by snow for the last week, the Energy Bill Revolution campaigners, including power companies E.On and Npower and charities including Age Concern and Macmillan, issued a renewed warning to Mr Cameron on the dangers of fuel poverty. However, the warning added that this could go up by a third - to nine million by 2016, unless greater action was taken in regards to energy efficiency. The group warned that despite Government schemes like the Warm Home Discount Scheme being in place to support the most needy in the country, not enough was being done to tackle soaring energy bills. Money raised from a carbon tax could be used to insulate houses across the country that are currently losing heat through roofs and walls according to the group. Speaking to The Times, Energy Bill Revolution campaign director,Ed Matthew, said: "The suffering caused by high energy bills is turning into a national crisis. The Government can do far more. "There is enough carbon revenue to fund an insulation programme which is five times bigger. 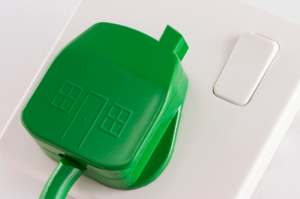 It could end fuel poverty and ensure all homes are super-insulated." Last year, five of the 'Big Six' hit customers with an energy bill price hike. E.On kept its prices the same, as it had promised to do, before bumping up its duel fuel bill prices by 8.7% last week.